Cookers come in a range of makes, models and designs and whether you require a specific ceramic hob cleaning service, enamel cleaning or stainless steel hob cleaning, our specialists are fully trained to achieve a showroom result on your gas or electric hob every time. 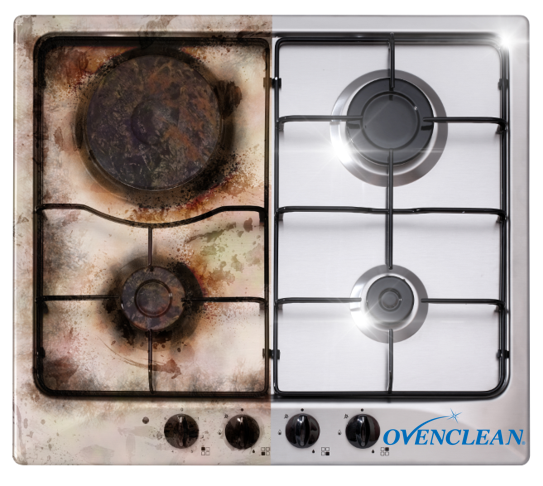 Our ‘no added caustic’ cooker cleaning solutions, unique to Ovenclean, will give your hob a sparkling clean finish. What’s more, the gentle formula is safe to use on any surface – from ceramic to enamelled, and chrome to stainless steel, we work to uphold and protect the finish of your hob. 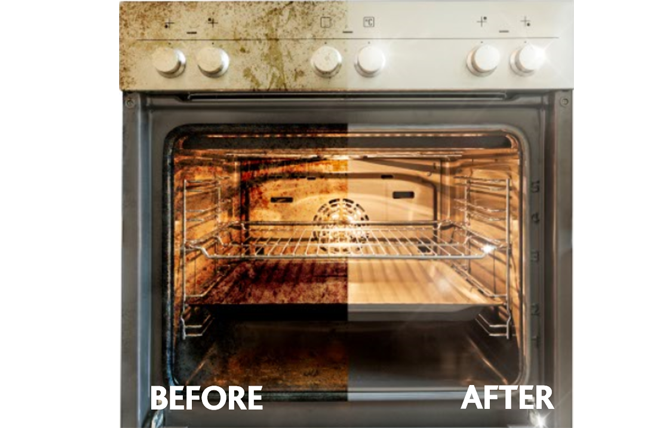 Ovenclean specialists are fully equipped to put the sparkle back into your kitchen. 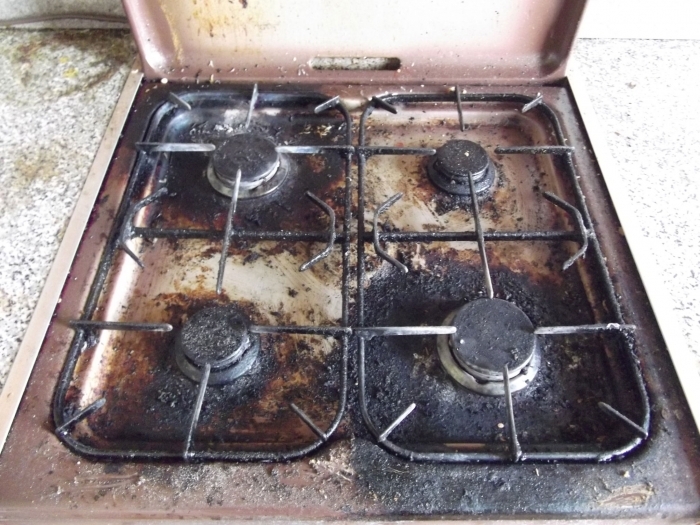 Our hob cooker cleaning specialists aim to cause minimal disturbance to you in your home, so all removable parts are soaked in special baths outside the property. This also ensures your home remains hygienic and mess free! To talk to your local specialist about your hob cleaning requirements and for a free no obligation quote, call 0800 840 7127 or get a free quote online. 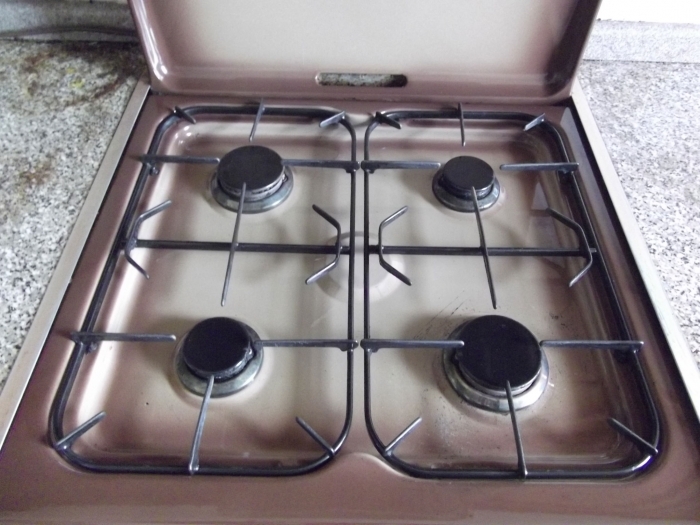 Is your gas hob difficult to light? It could be that over the years, tiny bits of dust, food and grime have blocked the holes that emit gas. With the right tools these can be cleaned fairly easily, allowing your hob to work more efficiently. A gas oven isn’t much use without its pilot light. But a pilot light that has gone out is not necessarily a sign your oven is on its last legs. There is an electrode within the oven that operates the pilot light. If that gets dirty, the sensors can malfunction and cause it to go out. In this situation a simple, targeted clean could get it going again in no time. Great job from Ovenclean - prompt call back, arrived on time, made the oven and hob sparkle after 5 years of poor maintenance. Will definitely be using again.